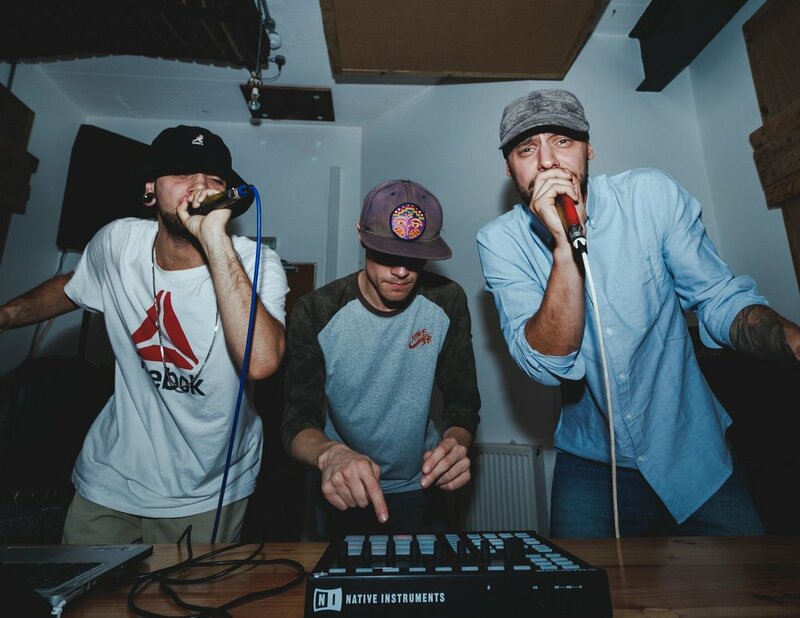 An amalgamation of Jazz, Boom Bap and Soul - served with that steamin' Yorkshire brew sound - accompanied by a large teaspoon of raw and witty lyricism. Message Of A Nation (MOAN) release their debut eight track EP, Finding Home. A project of strong calibre, with beats and flow that instil memories of that golden and well revered Boom Bap sound, infused with the style and progression of the current new age UK Hip-Hop scene. The result is the infamous and crowd infecting head-nod that often acquaints this flavour of Hip-Hop. The production by Ben Woodward is polished with well designed and catchy beats, coupled with the dangerous delivery and slick wordplay of Lucid Behaviour and Sean Dee. These guys have only been writing material together as MOAN for a year and the product they are shifting is good! Favourite tracks off the EP; Minimum Wage, Imaginary Friends, Dejavu and the hard hitting Mumble Rappers. The Finding Home E.P is the culmination of three friends coming together to make music tailored for the live stage to make you bounce!